Imagine, for a moment, a wild West where lawlessness rules the terrain and criminals and chaos run amok. If you can picture it, then you have a close sense of today’s dark web — with bad actors on the Internet as robbers, and regulatory and tech companies as cops. With the rapid shift from on-site storage to cloud-based platforms, small businesses have become more vulnerable than ever to cyberattacks, hacking and brand fraud. Pair that with undefined federal and state policies surrounding internet regulations, and you have an open range for unmonitored criminal activity. 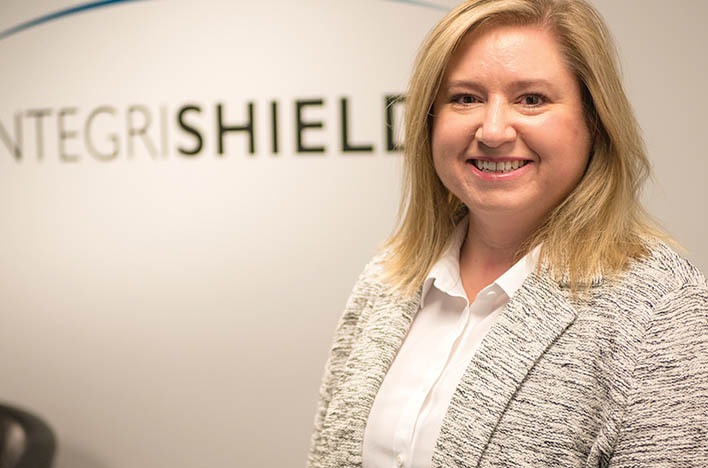 Gayla Huber, founder and CEO of brand protection and regulation company IntegriShield, conducted a recent study often consulted by researchers on Capitol Hill. The study, which tracked 18 lenders over the course of a year, reports that following a 2017 Google policy that limits advertising, fraud accounted for 70 percent of the online violations found from 2017 to 2018. Fortunately for small businesses, companies in the realms of IT, regulation and compliance have taken up the mantle for protecting businesses’ brand integrity and private information. 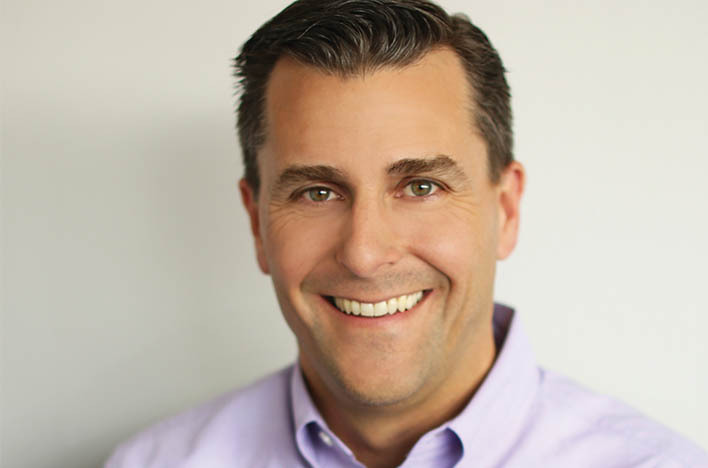 For founder and CEO Scott Ford, cybersecurity has been a crucial priority for his consumer-facing software platform, Pepper IoT. Schram, Huber and Ford and their companies have each taken their own stances in tackling outlaws in the online landscape. The Purple Guys, established in 2001, takes on cybersecurity threats from an IT consulting perspective. Co-founder and CEO Jon Schram describes himself as a serial entrepreneur, as The Purple Guys is his third startup from scratch. The company currently helps 6,000 users across 170 small- to mid-sized businesses in 14 states and eight countries. “We’re the voice at the end of the line when something doesn’t work,” Schram quipped, referring to The Purple Guys’ outsourced IT consulting services. Schram explained that in the past two years, online criminal activity has exponentially accelerated. Four to five years ago, a bad actor had to be technologically savvy and equipped with money and resources to get away with online crime. Not so anymore, Schram says. “What’s happened in the last few years is that the tools to commit crimes on the ’net are now readily available for $100 to $200, and they require almost no technical knowledge,” he said. While Schram said that “there is no perfect security,” there are measures that small business owners can easily take to protect themselves. Those include setting up a good firewall, establishing a centralized password policy and providing training for end users, to name a few. Two-factor authentication is a good example of a cheap and easy practice that can boost a business’ security twofold. As for The Purple Guys, there’s no shortage on the business end, thanks to the cybersecurity crisis; plus, the rapid evolution of cloud-based services is keeping them on their toes. The company recently expanded to the St. Louis market and is looking to grow even further in 2019. Huber founded IntegriShield in 2012. Through the company’s proprietary software Integris, Huber and her team monitor the Internet internationally to protect businesses from brand fraud and marketing violations. To date, Integris has been implemented in over 150 countries and in 30 languages. Huber started her career in marketing data but transitioned to the regulatory technology (regtech) and compliance monitoring field when she realized how many businesses were vulnerable to fraud and unauthorized violations. Where does one even begin when monitoring the entire World Wide Web? The key, Huber says, is smart queries and focused expertise. IntegriShield’s services are invaluable for one simple reason: they’re very, very rare. “There’s no training for what we do. There isn’t one place to go, or one thing you can do to go and learn regulations, across all these industries, across all these countries,” Huber said. Currently, Huber works with industry leaders and politicians on all sides of the aisle to educate them on what’s happening to customers and consumers — and to establish Internet regulations and policies that can be consistently applied nationwide. Huber explained that in current legislation, following California’s introduction of the Consumer Privacy Act (CCPA) in 2018, states are in danger of creating a “patchwork system” of regulation policy. This lack of cohesion will ultimately hurt small business owners, she said. As for how small businesses can protect themselves from online threats, Huber advised that owners “be smart” about data collection (“only take what you absolutely need”) and be proactive about taking protective measures. Many companies, Huber said, are already taking steps in the right direction. “In Kansas City, everyone is very pro-consumer protection and very pro-business. A lot of what we’re doing with compliance monitoring, it’s a very proactive approach,” Huber said. Internet of Things software platform Pepper, founded in 2014 by CEO Scott Ford, manages communications between connected devices and people, particularly in the household space. Ford started the business when he foresaw the rise of the “connected home,” or a household in which services can be accessed via Bluetooth or WiFi. Pepper’s home-based services transfer the communication from devices into a cloud infrastructure, which features user interfaces and mobile apps. From there, Pepper contains and controls the data inside that environment. Ford explained that the IoT market falls into three sectors: industrial, enterprise and consumer. Of the three, the U.S. consumer market is currently most at risk for security threats due to the importation and sale of cheap, unregulated devices. Pepper’s architecture allows for the protection of users’ personal data — offering much-needed security for the consumer-facing sector of the IoT industry. Pepper was named one of Startland News’ Startups to Watch of 2019, and it currently sells products in 10,000 retail locations across the globe. The software has engineered nine camera devices into its cloud platform, more than any platform of its kind worldwide. Even with these strides, Ford says Pepper’s takeoff is just beginning. “Our growth is really right now,” he said. “There’s no end in sight in terms of crazy growth because this market is one of the biggest we’ll see in our generations.